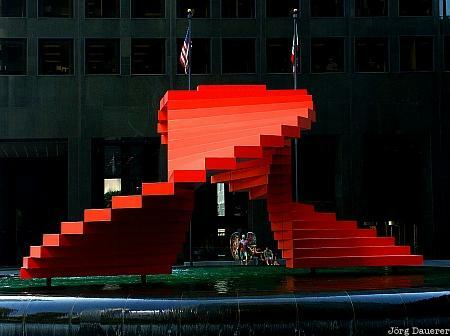 A red sculpture in the water in downtown Los Angeles. Los Angeles is in southern California on the pacific coast of the United States. This photo was taken on a sunny day in October 2002. This photo was taken with a digital camera.